You know what they say if you're ever lost in a hedge maze: Just place one hand on a wall, and start walking. You'll eventually get out that way. That's something to keep in mind if you ever find yourself stuck in the Longleat Hedge Maze, otherwise known as the longest hedge maze in the world. It consists of more than 16,000 English yews and 1.75 miles of twists and turns. 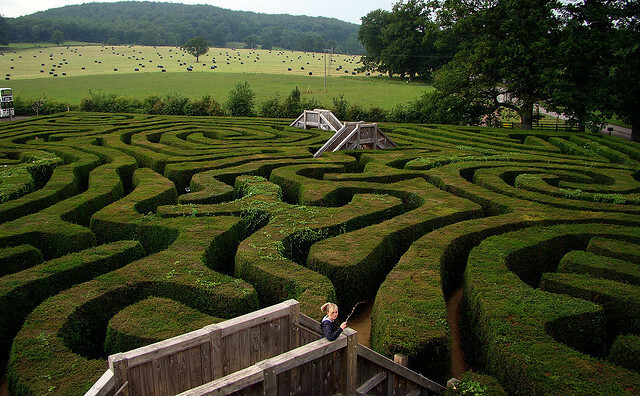 I've always wanted to get lost in an English hedge maze. Until it was time for afternoon tea, at which point I'd want someone to helicopter me out. Everyone wants their seafood to be fresh. 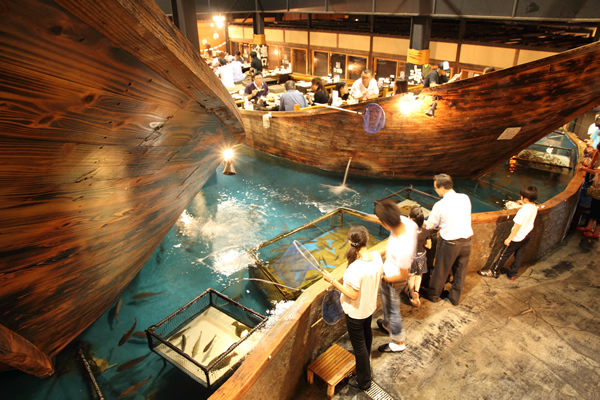 So Zauo Fishing Restaurant in Tokyo, Japan, decided to give the customers what they want: a fishing pole with which to fish out their own dinner. Patrons can fish from their seats aboard a fishing vessel, or if you find that you're simply not an effective fisherman, you can go to a tank full of already "caught" fish and simply point at what you want. Sounds delicious, if a bit unfair for the fish. So you say your last hotel wasn't decorated with enough whimsy for you. 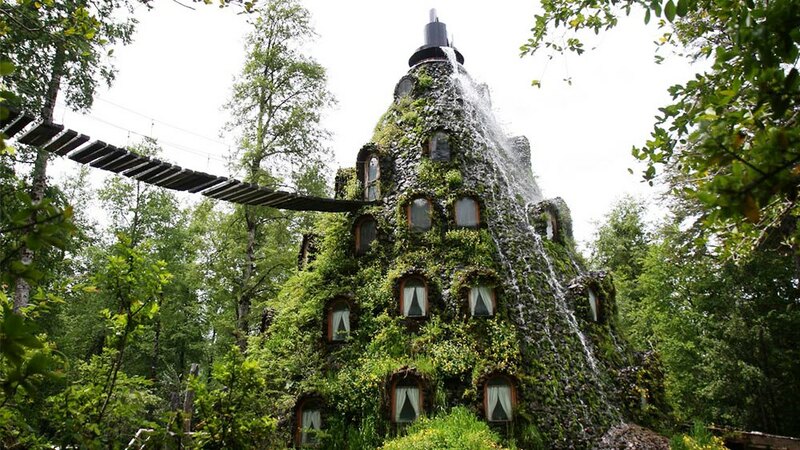 Well, next time you're in the Los Rios region of Chile, look into booking a room at the Montaña Mágica Lodge, where you must cross a rickety wooden rope bridge to get to your guestroom situated in a natural stone spire, covered with jungle foliage. And while the exterior may seem a little rustic, the hotel provides many luxurious amenities, including a hot tub made from a carved out tree trunk and a mini-golf course that utilizes real obstacles such as the forest itself to get in the way of your colorful little ball. I know. Where's the Hobbit bellhop? This place needs to hire a Hobbit bellhop. 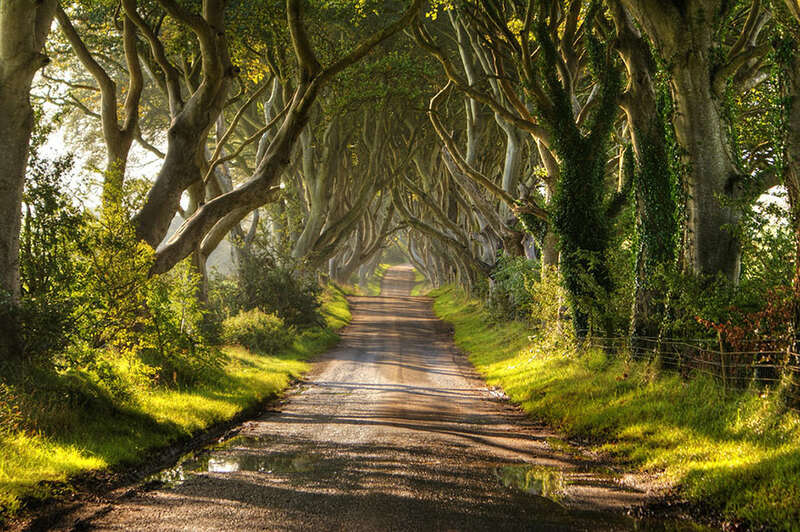 If I came upon this road flanked by crazily entwined beech trees that look almost sentient, my instinct would be to turn around and run as fast as I could in the other direction. But the intention of the Stuart Family, who planted the trees in the 18th century along Bregagh Road in Northern Ireland, was to create a welcoming pathway leading up to their mansion. To each his own, I guess? Actually, we can all agree that this scene is beautiful. Creepy, but beautiful. And the name of this place, The Dark Hedges, doesn't really help. Maybe if they called this place The Friendly Trees That Definitely Won't Come Alive, I'd go visit.